In a landmark judgment, the Supreme Court on Friday recognized and gave sanction to passive Euthanasia and living will/advance directive. The judgment was delivered by a Bench comprising Chief Justice of India Dipak Misra, Justice A.K. Sikri, Justice A.M. Khanwilkar, Justice D.Y. Chandrachud and Justice Ashok Bhushan. The matter had been referred to it by a three-Judge bench, which had held that the Constitution Bench, in Gian Kaur v. State of Punjab, had not ruled on the validity of active or passive Euthanasia, even though it had ruled that the right to live with dignity under Article 21 of the Constitution of India was inclusive of the right to die with dignity. The three-Judge Bench had then noted that the judgment in the case of Aruna Ramchandra Shanbaug v. Union of India had rested on the wrong premise that the Constitution Bench in Gian Kaur had upheld passive euthanasia. The five-Judge Bench has now unanimously held that the two-Judge Bench in Arun Shanbaug had wrongly ruled that passive euthanasia can be made lawful "only by legislation" through an erroneous interpretation of the judgment in Gian Kaur. Recognizing passive euthanasia, it observed, "an adult human being having mental capacity to take an informed decision has right to refuse medical treatment including withdrawal from life-saving devices." The 538 page judgment also goes on to lay down the procedure for a 'Living Will' or an 'Advance Directive', through which terminally ill people or those with deteriorating health can choose not to remain in a vegetative state with life support system if they go into a state when it will not be possible for them to express their wishes. Writing for himself and Justice Khanwilkar, CJI Misra opined that the Court in Gian Kaur did not approve the decision in the case of Airedale N.H.S. Trust v. Bland, wherein the House of Lords had ruled that euthanasia is not lawful in common law. He asserted that while Gian Kaur's decision had only briefly referred to Airedale, the Court in Aruna Shanbaug erred in holding otherwise. Examining the legal position in various other jurisdictions, Justice Misra observed that all adults with the capacity to consent have the common law right to refuse medical treatment and the right of self-determination. He, however, cautioned that doctors would be bound by the patient's choice of self-determination, subject to being satisfied that the illness of the patient is incurable and there is no hope of his being cured. "It is so because it is in accord with the constitutional precept and fosters the cherished value of dignity of an individual. It saves a helpless person from uncalled for and unnecessary treatment when he is considered as merely a creature whose breath is felt or measured because of advanced medical technology. His ―being exclusively rests on the mercy of the technology which can prolong the condition for some period. The said prolongation is definitely not in his interest. On the contrary, it tantamounts to the destruction of his dignity which is the core value of life. In our considered opinion, in such a situation, an individual interest has to be given priority over the State interest." Furthermore, Justice Misra clarified that even though the Counsel had used the words "living will", the Court did not intend to use it. It then agreed for utilization of an "Advance Medical Directive", noting, "The said directive, we think, will dispel many a doubt at the relevant time of need during the course of treatment of the patient. That apart, it will strengthen the mind of the treating doctors as they will be in a position to ensure, after being satisfied, that they are acting in a lawful manner." "(i) A careful and precise perusal of the judgment in Gian Kaur (supra) case reflects the right of a dying man to die with dignity when life is ebbing out, and in the case of a terminally ill patient or a person in PVS, where there is no hope of recovery, accelerating the process of death for reducing the period of suffering constitutes a right to live with dignity. (ii) The Constitution Bench in Gian Kaur (supra) has not approved the decision in Airedale (supra) inasmuch as the Court has only made a brief reference to the Airedale case. (iii) It is not the ratio of Gian Kaur (supra) that passive euthanasia can be introduced only by legislation. (iv) The two-Judge bench in Aruna Shanbaug (supra) has erred in holding that this Court in Gian Kaur (supra) has approved the decision in Airedale case and that euthanasia could be made lawful only by legislation. (v) There is an inherent difference between active euthanasia and passive euthanasia as the former entails a positive affirmative act, while the latter relates to the withdrawal of life support measures or withholding of medical treatment meant for artificially prolonging life. (vi) In active euthanasia, a specific overt act is done to end the patient‘s life whereas in passive euthanasia, something is not done which is necessary for preserving a patient's life. It is due to this difference that most of the countries across the world have legalised passive euthanasia either by legislation or by judicial interpretation with certain conditions and safeguards. (vii) Post Aruna Shanbaug (supra), the 241st report of the Law Commission of India on Passive Euthanasia has also recognized passive euthanasia, but no law has been enacted. (viii) An inquiry into common law jurisdictions reveals that all adults with capacity to consent have the right of self- determination and autonomy. The said rights pave the way for the right to refuse medical treatment which has acclaimed universal recognition. A competent person who has come of age has the right to refuse specific treatment or all treatment or opt for an alternative treatment, even if such decision entails a risk of death. The 'Emergency Principle' or the 'Principle of Necessity' has to be given effect to only when it is not practicable to obtain the patient's consent for treatment and his/her life is in danger. But where a patient has already made a valid Advance Directive which is free from reasonable doubt and specifying that he/she does not wish to be treated, then such directive has to be given effect to. (ix) Right to life and liberty as envisaged under Article 21 of the Constitution is meaningless unless it encompasses within its sphere individual dignity. With the passage of time, this Court has expanded the spectrum of Article 21 to include within it the right to live with dignity as a component of right to life and liberty. (x) It has to be stated without any trace of doubt that the right to live with dignity also includes the smoothening of the process of dying in case of a terminally ill patient or a person in PVS with no hope of recovery. (xi) A failure to legally recognize advance medical directives may amount to non-facilitation of the right to smoothen the dying process and the right to live with dignity. Further, a study of the position in other jurisdictions shows that Advance Directives have gained lawful recognition in several jurisdictions by way of legislation and in certain countries through judicial pronouncements. (xii) Though the sanctity of life has to be kept on the high pedestal yet in cases of terminally ill persons or PVS patients where there is no hope for revival, priority shall be given to the Advance Directive and the right of self-determination. (xiii) In the absence of Advance Directive, the procedure provided for the said category hereinbefore shall be applicable. (xiv) When passive euthanasia as a situational palliative measure becomes applicable, the best interest of the patient shall override the State interest." 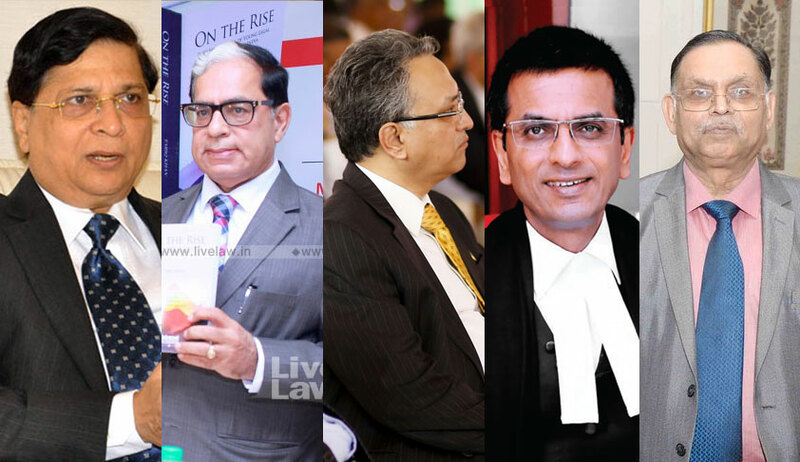 Justice Sikri agreed with the opinion authored by CJI Misra and ruled, "Having regard to the aforesaid right of the patients in common law, coupled with the dignity and privacy rights, it can be said that passive euthanasia, under those circumstances where patient is in PVS and he is terminally ill, where the condition is irreversible or where he is brain dead, can be permitted. On the aforesaid reasoning, I am in agreement with the opinion of the other members of this Bench in approving the judgment in Aruna Ramachandra Shanbaug." He further observed that while it is a doctor's primary duty to provide treatment and save lives, it is not so "in the case when a person has already expressed his desire of not being subjected to any kind of treatment". He opined that it is a common law right of people of any civilized country to refuse unwanted medical treatment. With regard to the Advance Directives, Justice Sikri cautioned that the system may be open to abuse, and observed, "At this juncture, we may again reiterate that on the one hand autonomy of an individual gives him right to choose his destiny and, therefore, he may decide beforehand, in the form of advance directive, at what stage of his physical condition he would not like to have medical treatment, and on the other hand, there are dangers of misuse thereof as well." He ended his opinion with hope that the Legislature would step in at the earliest and enact a comprehensive law on ‘living will/advance directive’, in order to take care of the apprehensions expressed against euthanasia. On sanctity of life: "The sanctity of human life is the arterial vein which animates the values, spirit and cellular structure of the Constitution. The Constitution recognizes the value of life as its indestructible component. The survival of the sanctity principle is founded upon the guarantees of dignity, autonomy and liberty." On living a dignified life: "The right to a dignified existence, the liberty to make decisions and choices and the autonomy of the individual are central to the quest to live a meaningful life. Liberty, dignity and autonomy are essential to the pursuit of happiness and to find meaning in human existence." On the right to refuse medical treatment: "The entitlement of each individual to a dignified existence necessitates constitutional recognition of the principle that an individual possessed of a free and competent mental state is entitled to decide whether or not to accept medical treatment. The right of such an individual to refuse medical treatment is unconditional. Neither the law nor the Constitution compels an individual who is competent and able to take decisions, to disclose the reasons for refusing medical treatment nor is such a refusal subject to the supervisory control of an outside entity." On Advance Directives: "An individual who is in a sound and competent state of mind is entitled by means of an advance directive in writing, to specify the nature of medical intervention which may not be adopted in future, should he or she cease to possess the mental ability to decide. Such an advance directive is entitled to deference by the treating doctor. The treating doctor who, in a good faith exercise of professional medical judgment abides by an advance directive is protected against the burden of criminal liability." On protection of doctors who withdraw treatment: "The decision by a treating doctor to withhold or withdraw medical intervention in the case of a patient in the terminal stage of illness or in a persistently vegetative state or the like where artificial intervention will merely prolong the suffering and agony of the patient is protected by the law. Where the doctor has acted in such a case in the best interest of the patient and in bona fide discharge of the duty of care, the law will protect the reasonable exercise of a professional decision." Further, he agreed with the conclusions drawn by the other Judges on Gian Kaur and Aruna Shanbaug's cases. In a separate concurring opinion, Justice Bhushan also contemplated on the concept of life and death, the relevant statutory provisions on the subject, and the legal position in other jurisdictions. He then agreed with the three-Judge Bench that the Constitution Bench in Gian Kaur's case had not expressed any binding view on euthanasia. He further noted that the Court had, in Aruna Shanbaug's case ruled that it is the Court alone with is entitled to take decision on whether treatment for a terminally ill patient can be withdrawn. He, however, opined that such decision needs to be taken by medical experts instead. Justice Bhushan explained, "We also are of the opinion that in cases of incompetent patients who are unable to take an informed decision, it is in the best interests of the patient that the decision be taken by competent medical experts and that such decision be implemented after providing a cooling period at least of one month to enable the aggrieved person to approach the Court of Law. The best interest of the patient as determined by medical experts shall meet the ends of justice. The medical team by taking decision shall also take into consideration the opinion of the blood relations of the patient and other relevant facts and circumstances." "(i) The Constitution Bench in Gian Kaur's case held that the "right to life: including right to live with human dignity" would mean the existence of such right up to the end of natural life, which also includes the right to a dignified life up to the point of death including a dignified procedure of death. The above right was held to be part of fundamental right enshrined under Article 21 of the Constitution which we also reiterate. (ii) We agree with the observation made in the reference order of the three-Judge Bench to the effect that the Constitution Bench in Gian Kaur's case did not express any binding view on the subject of euthanasia. We hold that no binding view was expressed by the Constitution Bench on the subject of Euthanasia. (iii) The Constitution Bench, however, noted a distinction between cases in which physician decides not to provide or continue to provide for treatment and care, which could or might prolong his life and those in which he decides to administer a lethal drug even though with object of relieving the patient from pain and suffering. The latter was held not to be covered under any right flowing from Article 21. (iv) Thus, the law of the land as existing today is that no one is permitted to cause death of another person including a physician by administering any lethal drug even if the objective is to relieve the patient from pain and suffering. (v) An adult human being of conscious mind is fully entitled to refuse medical treatment or to decide not to take medical treatment and may decide to embrace the death in a natural way. (vi) Euthanasia as the meaning of words suggest is an act which leads to a good death. Some positive act is necessary to characterize the action as Euthanasia. Euthanasia is also commonly called "assisted suicide" due to the above reasons. (vii) We are thus of the opinion that the right not to take a life-saving treatment by a person, who is competent to take an informed decision is not covered by the concept of euthanasia as it is commonly understood but a decision to withdraw life saving treatment by a patient who is competent to take decision as well as with regard to a patient who is not competent to take decision can be termed as passive euthanasia, which is lawful and legally permissible in this country. (viii) The right of patient who is incompetent to express his view cannot be outside of fold of Article 21 of the Constitution of India. (ix) We also are of the opinion that in cases of incompetent patients who are unable to take an informed decision, "the best interests principle" be applied and such decision be taken by specified competent medical experts and be implemented after providing a cooling period to enable aggrieved person to approach the court of law. (x) An advance medical directive is an individual's advance exercise of his autonomy on the subject of extent of medical intervention that he wishes to allow upon his own body at a future date, when he may not be in a position to specify his wishes. The purpose and object of advance medical directive is to express the choice of a person regarding medical treatment in an event when he loses capacity to take a decision. The right to execute an advance medical directive is nothing but a step towards protection of aforesaid right by an individual. (xi) Right of execution of an advance medical directive by an individual does not depend on any recognition or legislation by a State and we are of the considered opinion that such rights can be exercised by an individual in recognition and in affirmation of his right of bodily integrity and self-determination.